Does trying to remember what WordCamp sessions you wanted to attend almost make your brain overheat? If so, I have great news! share a unique link to your favorite sessions (this can be used to share your personalized schedule with others, or share with yourself, between multiple devices). Huge props to @circlecube for the feature proposal, and to @iandunn and egmanekki for making this a reality! We’d really love to get your feedback on the UI/UX of this new tool, especially with the variety of custom CSS on all the hundreds of WordCamp sites out there. Please test this new feature, and leave a comment on this post with any feedback or suggestions you have! Like the functionality. Regarding the styling part – I think we should override default styles as this is sort of functionality that is on top of the regular WC website functionality. That being said, it would be great to leave organisers to style this part differently if they wish too (i.e. they want to provide a centralised experience for their WC). @emanuel_blagonic I think this is how it already works, though I haven’t personally tried to customize the UI styles for this. Are you seeing issues on specific camp websites? 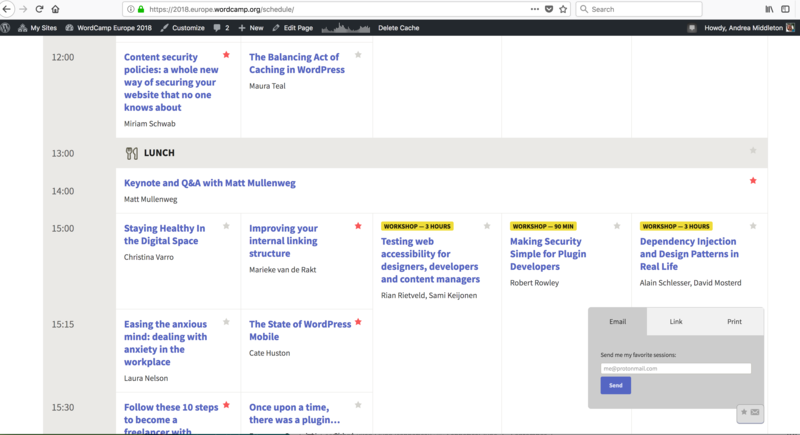 If you take a look at Andrea’s screenshot you will see that some styles are from WCEU website, and not from the widget itself (like buttons) which makes somewhat inconsistent experience imo. Not bad for the v1, but we could improve for v2.0 for sure. That’s all. Currently the email is plaintext only. An HTML version might be a good v2.0 enhancement. Luv’ it. Great job! Easy to use, minimally invasive. And I LIKE the plain email. I only tested it for WordCamp Europe and pretty much made up my mind which session to visit. 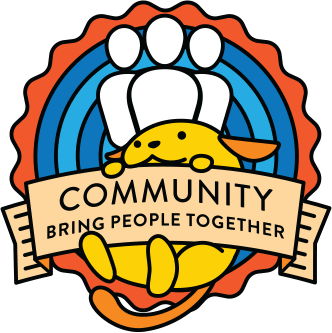 For a WordCamp further away, it would be a great decision-making tool as well. It would help if the email would contain links to the session description, too. I’m so happy to have been able to contribute an idea and that it has benefited others as well! Thanks to all who contributed and worked to make it happen!